From the author team behind the international bestseller The Decision Book, an open-ended approach to self-reflection. There’s one truly great way to learn about ourselves and others: ask questions. 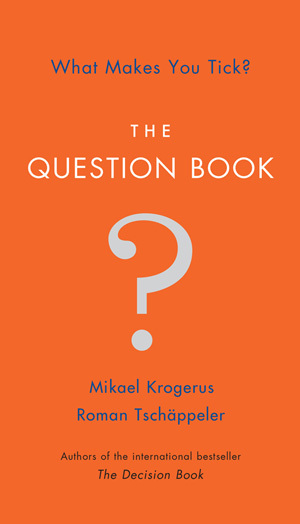 The Question Book is just that, a book full of provocative questions, with space for you to answer. It canvasses a wide range of subjects, from the professional (How replaceable are you?) to the personal (Whose future do you have an influence on?) to the everyday (How much time do you spend on the Internet?). 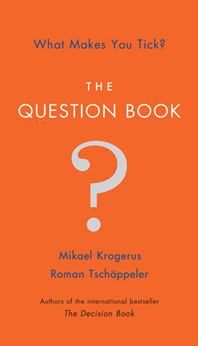 Intended to provoke short “yes or no” answers as well as open-ended responses, The Question Book can be used alone as a journal or as a conversation starter with a group of friends. Brief, direct, and compulsively fun to answer, each one of the more than 600 questions is an opportunity to gain insight and wisdom into our everyday lives.